A combination of heavy rain and melting snow forced many rivers and creeks to spill their banks across Southern New Brunswick today and the run-off often couldn’t be absorbed by the still partially frozen ground. Many streets in Greater Moncton, especially in low lying or marshy areas, were forced to close or partially close due to floodwaters. 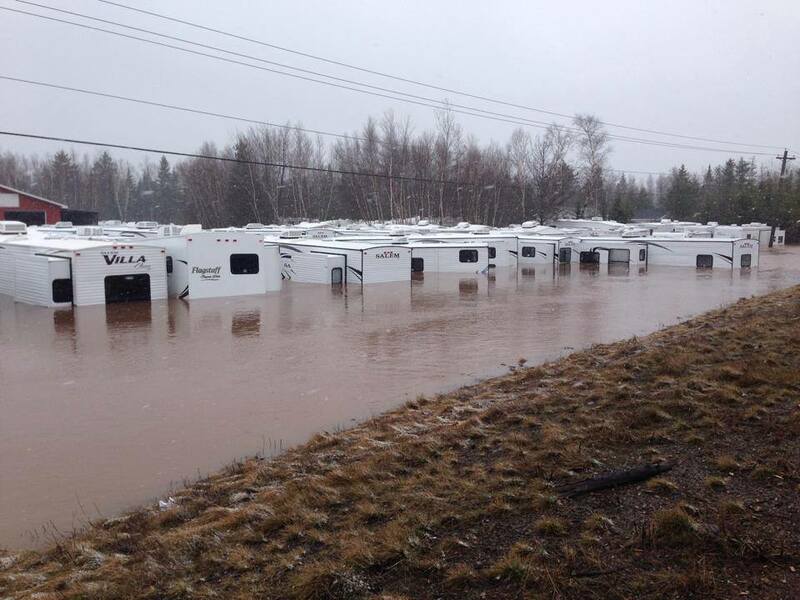 The Sussex area was especially hard hit after an ice jam in the nearby Kennebecasis River and the fast flowing Trout Creek forced water into the downtown area and nearby subdivisions in Sussex Corner. Some residents had to be rescued by boat today after water surrounded their homes. 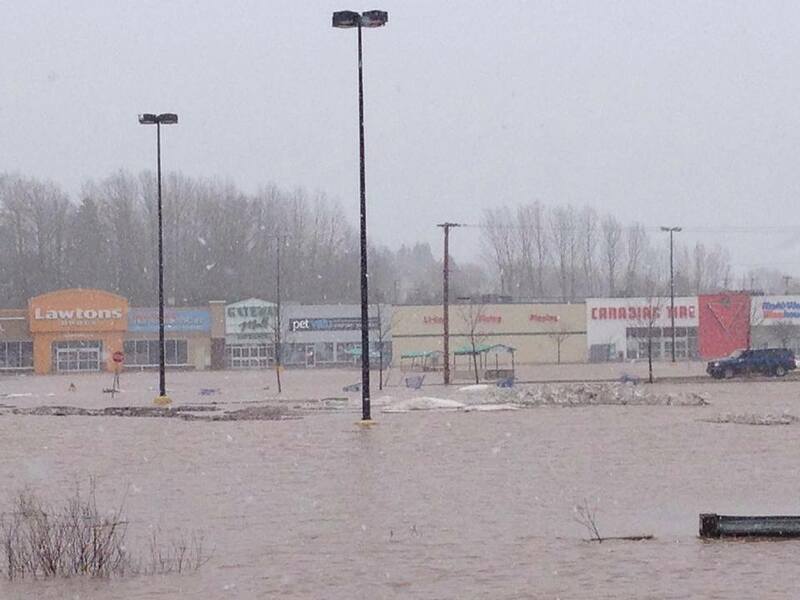 The flooding comes amid a dramatic temperature drop caused by a strong cold front which brought down the temperature in Greater Moncton from 15 C at 5-am to only 1 C by 1-pm.